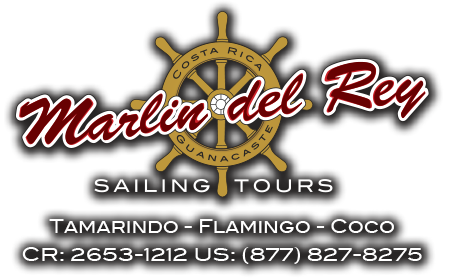 In 2006, there was a shift in the tides and one of the pioneers of Costa Rica tourism from the north decided that he would buy his business partners catamaran named Marlin del Rey. At this point there was not a plan for the catamaran but it was coming to Playa Tamarindo from Playas del Coco the next morning. He was the new owner of a 66′ sailing catamaran that was previously resided in the northern part of Guanacaste, Costa Rica. So what now? During the 2 hour slow sail down the Pacific Ocean to Playa Tamarindo, Greg Ruzicka, called his nephew, Jeff Ruzicka, and asked him what they could do with the boat there. On the phone call they decided that since Jeff had been busy with the Tamarindo Vista Villas as the GM and had access to clients wanting to experience the ocean, why not do tours in the bustling surf town? Tamarindo was still a very small town with dirt roads and surf but with the arrival of the beautiful catamaran, it added a new feature in the area.